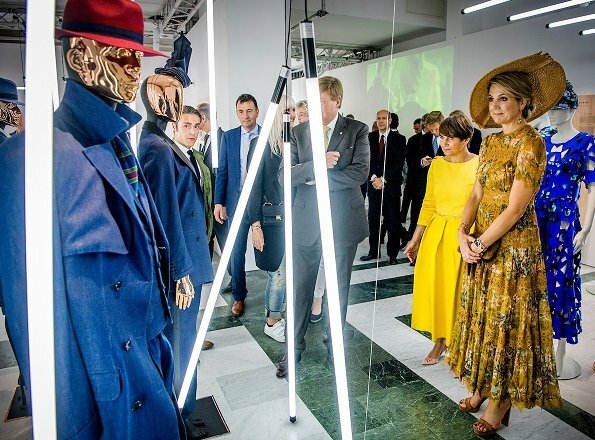 Dutch King Willem-Alexander and Queen Maxima visited the Triennale Design and Art Museum in Milan, Italy on June 23, 2017 during the fourth day of a royal state visit to Italy. 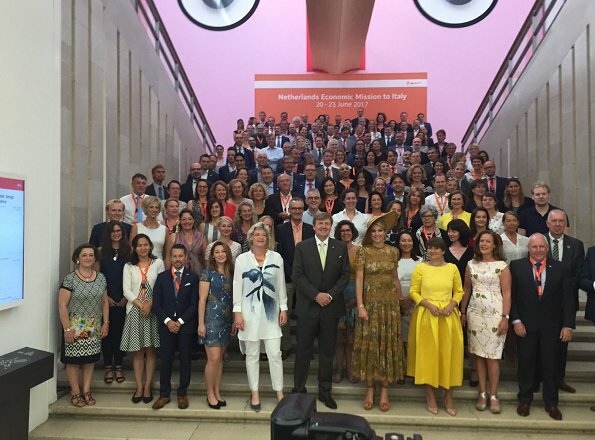 Queen Maxima wore a tropicale crinkle dress by Zimmermann. Waarom toch altijd zulke rare hoeden? 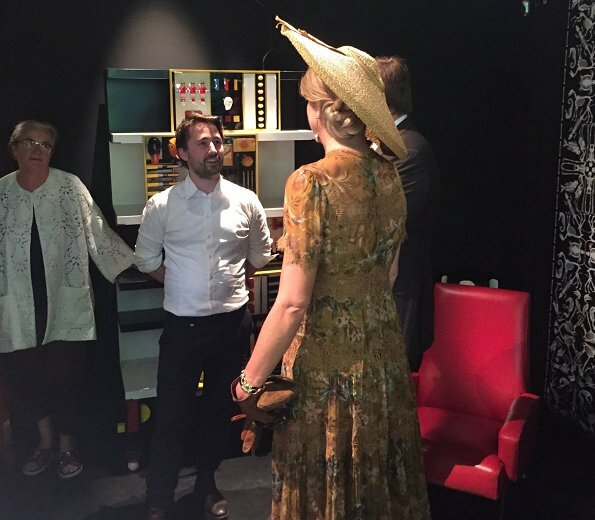 Laat die hoeden en handschoenen in de kast. Especialy the gloves, they Make no sense! Ce système de jupe à demi-transparente ne me plait pas du tout .Si Maxima veut porter une minijupes il faut oser!!! It reminds me a bit of 1930'ies style? A compliment for her hair and hat! But the dress? It's not clear to see all "en detail" on the photos. Just thought on the last picture, one can see her thighs through the thin fabrics? I dont hate it. I always like her hats...no matter how big! A nice look and the colours are lovely but I'm also not keen on the transparent part. It would have looked better to be the same fabric to the hem. And yes, forget the gloves. She seems to have just come back from a trip into the past.